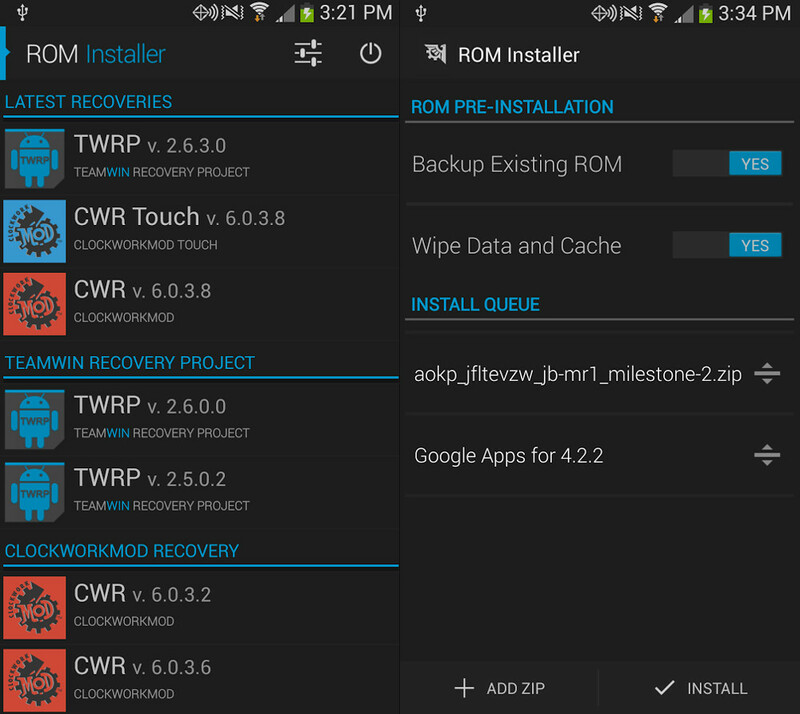 ROM and recovery flashers, a new tool from long-time site friend JRummy hit the Play store this weekend that you should consider checking out. 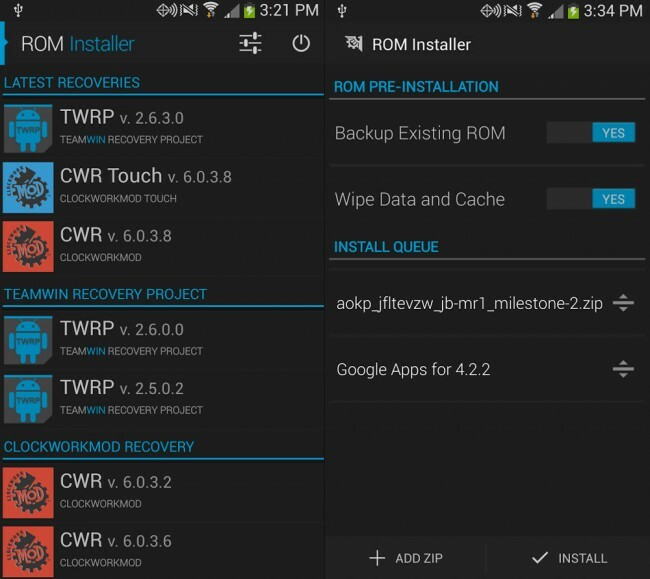 It’s called ROM Installer, and it’s similar to the long-lost ROM Manager, but it has support and offers up the “most ROMs available in any app” along with 1-click recovery flashing of the latest recoveries. You are looking at an app that features the newest ROM builds from AOKP, CyanogenMod, Paranoid Android, MIUI, and others. 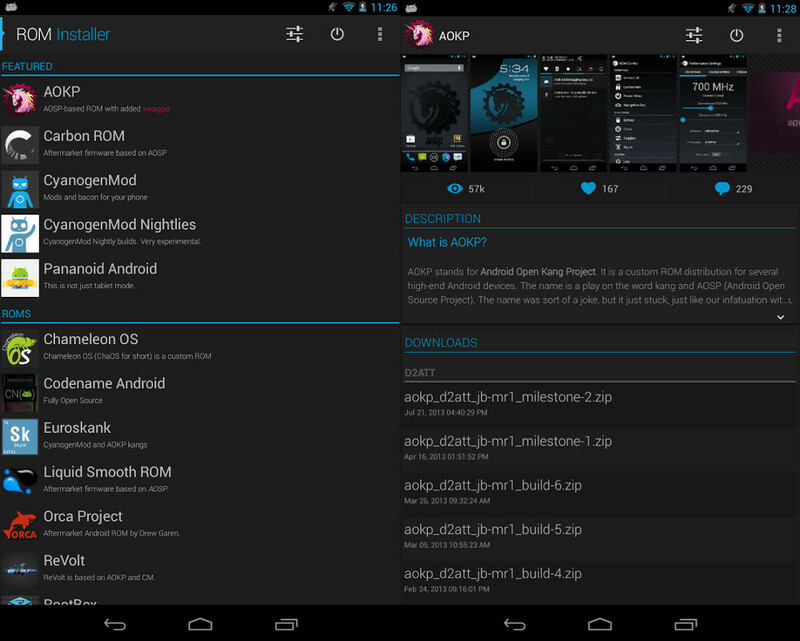 You’ll also find the newest versions of TWRP, which will be updated on a regular basis. ClockworkMod Recoveries in both Touch and regular are there as well. The app offers ways to backup and restore, install .zip files, and receive notifications for OTA updates of ROMs and recoveries. Install ZIPs with the easy to use ROM Installer. Install many ZIPs at one time.